These FAQs are intended to be a general discussion of common issues, and are not intended to be taken as specific legal or accounting advice that applies to your individual fact situation. You are encouraged to talk to your lawyer and accountant to find the exact answers to the questions in your state based on your facts and circumstances. See also the disclaimer below. Hungary is member of the European Union since 2004. Its capital is Budapest. The official currency is Hungarian Forint. If you come to Hungary on business or on holiday, you will find useful information under http://www.gotohungary.com maintained by the Hungarian National Tourist Office. What is the data protection authority in Hungary? Can the Hungarian Data Protection Authority impose a fine? Yes, it can. Fines range from 100,000 HUF (ca. EUR 300) to 10,000,000 HUF (ca. EUR 30,000). What is the Hungarian data protection law? The main act is the Act CXII of 2011 on Informational Self-determination and Freedom of Information but there are adjacent laws on data protection. Could you provide me with a free copy of the Act in English? Certainly, http://www.naih.hu/act-cxii-of-2011—privacy-act–.html but this might be out-dated. Does my Hungarian/foreign company need to be registered in the Hungarian data protection registry? The scope of businesses that need to register is quite wide. You may consult the pertaining act. Additionally, we would be glad to assist you in determining whether registration is required and would guide you through the registration if necessary. Who is the electricity TSO? What is the Hungarian electricity law? The main act is the Act LXXXVI of 2007 on electricity. Certainly, http://www.mekh.hu/gcpdocs/52/Electricity%20Act%20LXXXVI_2007_ENG.pdf but this might be out-dated. What is the Hungarian natural gas law? Certainly, http://www.mekh.hu/gcpdocs/52/Gas%20Act%20XL_2008_ENG.pdf but this might be out-dated. What is the immigration office called in Hungary? Could you help me with my Business or Student Visa application? Unfortunately we do not fulfill these requests. Could you help me with my Hungarian residency permit application? Do I (or my employees) need a work permit in Hungary? If you are an EU citizen then not, but your employer still needs to file for registration. Otherwise, if you come from a third country, then normally yes. In this case your employer will have to handle this case, file applications and check if there is any equivalent workforce on the Hungarian market before employing you. Certificates and their official translations will be required. Do you offer an invitation to Hungary? Unfortunately Süle Law Firm does not currently offer this service. The invitation not only guarantees your accommodation for the requested period but also the payment of all necessary medical treatments and the transportation costs to your country of origin if things go bad and you have to leave Hungary due to any reason. How do I prove my accommodation in Hungary for several months? What is the Hungarian immigration act? Certainly, http://www.bmbah.hu/jogszabalyok.php?id=43 but this might be out-dated. What legal sections should every business website / webshop include? May I freely use images / sound found on the Internet? Many people don’t know but if you use images or sound found on the Internet and do not duly check/obtain the licences, you will be most likely committing copyright infringement and be liable for your acts. Always check your sources and you in case of doubt at least attribute. The fact that illegal copying is widespread on the Internet, does not make it legal. Does my domain name confer exclusive rights to my company? Not necessarily, if you are looking for exclusive right of a brand, you should probably apply for a trademark. Domain names can be also trademarked if certain criteria are met. We recommend consultation with an IP lawyer, such as Ákos Süle at Süle Law Firm. Can a business trademark a domain name for future use? Yes, and there is no need to file an “intent-to-use”, however, the trademark should be genuinely used after five years from the date of its registration. I have an idea for a new homepage/start-up, can I protect it? Unfortunately copyright does not protect ideas. Accordingly, you might want to develop a brand for the idea and an image. Also, you might pay special attention to your business partners and maybe put some legal clauses into contracts so that they respect your idea (without copying it). Please consult us to find the best way of industrial property, business agreement and know-how protection. I have received a provisional refusal from WIPO, what do I do? Keep calm and check the deadlines. 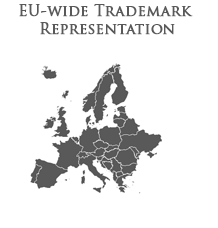 If the only problem is that you need to appoint a trademark representative from the European Union, we are happy to assist you free of charge. Otherwise please consult attorney Ákos Süle to determine the best course of action. Can I choose a descriptive brand? Although descriptive brands are more likely in the U.S. to be accepted; in the EU / Hungary, marks need to be distinctive and non-descriptive. Avoiding generic terms is also a good idea. Please note that the differences between the U.S. and the EU trademark systems might have a decisive role in the outcome of your trademark application. Do you file patents as well? No, we are Hungarian patent litigators but we do not file patent applications. You will need a patent attorney with engineering/chemical/etc background. We also provide Hungarian renewal / patent annuity payment services. Is there a use requirement for trademarks? There is a use requirement both in the EU and in Hungary meaning that your trademark must be used within 5 years from the date of registration in relation to the goods and services applied for. If you do not offer the goods or services as applied for in the trademark application after five years, your trademark may become vulnerable to cancellation by third parties. First of all, it has to be determined if the work may constitute for copyright protection at all. After that, the related licenses, the holder of the copyright may be checked to ascertain whether your use of the work is legal. Also, the title of your use might fall under some of the special cases of free use. Are there investment agreements with Hungary? Yes, to protect your investments, Hungary has bilateral investment agreements with the following countries: Albania; Argentina; Australia; Austria; Belgium-Luxembourg; Bosnia and Herzegovina; Bulgaria; Canada; Chile; China; Croatia; Cuba; Cyprus; Czech Republic; Denmark; Arab Republic of Egypt; Finland; France; Germany; Greece; India; Indonesia; Israel; Italy; Kazakhstan; Republic of Korea; Kuwait; Latvia; Lebanon; Lithuania; Former Yugoslav Republic of Macedonia; Malaysia; Moldova; Mongolia; Morocco; Netherlands; Norway; Paraguay; Poland; Portugal; Romania; Russian Federation; Serbia; Singapore; Slovak Republic; Slovenia; Spain; Sweden; Switzerland; Thailand; Tunisia; Turkey; Ukraine; United Kingdom; Uruguay; Uzbekistan; Vietnam; Republic of Yemen. What is an M&A due diligence? Mergers & acquisitions due diligence procedures aim the investigation of the financial, legal, regulatory, and operational viability of a company prior to buying it. Managers of the company under investigation are asked to produce documents and provide answers that will help drawing-up of the due diligence report and for which they can be held liable. The M&A due diligence label is typically reserved for corporate transactions on a large scale and the investigation is handled by law firms. M&A due diligence is conducted between the deal announcement and the date the deal is closed and can last for more than a year. The seller will have to produce documents, such as financial records, major contracts, corporate filings, and report on outstanding legal issues, regulatory affairs, stockholder information. The lack of a satisfactory due diligence report is normally a deal breaker. I can see that you offer Hungarian limited liability company registration, but can I register my company as corporation in Hungary? Yes, you can also register a Hungarian corporation (Hungarian incorporated) that is called over here a Zrt, meaning a privately held company or Hungarian close company. If your next step would be possibly the stock market exchanges, this might be suitable for you. Can I register my company as a Hungarian Kommanditgesellschaft? Yes, Hungary has limited partnerships or in German Kommanditgesellschaft. This is the Bt form where the general partners have full liability and the limited partners have limited liability for the Hungarian company’s debts. May we note that the lawyer at Süle Law Firm have a good command of German. Can I use my Hungarian company as a base of operations? Yes, especially if we think of the two important EU law principles: freedom movement of goods and freedom of services. What is the process of registering the title of my new apartment in Hungary? The sale purchase agreement shall be preferably drafted by and be countersigned by a lawyer licensed to practice in Hungary. After filing the appropriate request and documents with the Land Registry, latter authority registers your title in the apartment. Where can I find more information about the Land Registry? On the homepage of the Hungarian Land Registry: http://www.foldhivatal.hu where you will also find information about the current official fees related to real estate registration procedures. Do I have to register my lease in Hungary? No, you don’t even need a lawyer to enter a lease agreement. This means that retaining a lawyer is not mandatory for lease agreements, but it is of course recommended. A usufructuary is a beneficial owner who is entitled to use and even rent out the property. The registered owner’s rights are limited until a beneficial owner uses the property in Hungary. The beneficial ownership becomes valid when enetered into the Land Registry. Does my company have to pay real estate tax in Budapest? Unfortunately the real estate tax can be significant. The tax depends on the size and location of the property owned by the company.